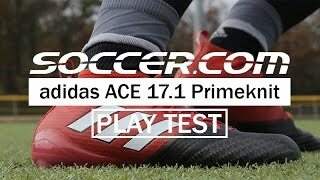 If you are not a fan of the groundbreaking laceless technology of the ACE 17+ PureControl then the adidas ACE 17.1 may be the perfect solution for you. Available in a PrimeKnit or low cut leather option, this is second boot in the ACE Collection top tier. 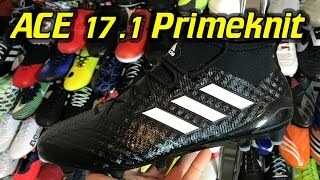 The latest 17.1 options have an upper which provides a great fit whilst the PrimeKnit collar adds comfort and stability. 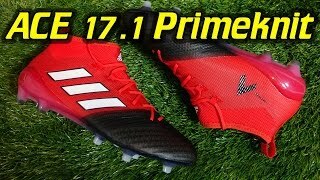 The 17.1’s do not have the Boost technology as the PuerControl, however, these are still a great option for any player. Launched at the same time as the PureControl, this boot has the responsiveness needed for the modern game. 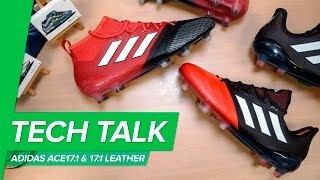 Now let’s check out the two adidas ACE 17.1 options. The PrimeKnit upper supports the foot throughout as the material adapts to secure a complete, comfortable fit. adidas have also covered the upper in a thin film, which ensures water and dirt cannot seep through the boot. adidas PURECUT technology adds more stability to the upper, whilst compressing the foot into a natural position and wrapping around the ankle like a sock. This works with the knitted forefoot area which brings your foot closer to the ball when controlling and dribbling. 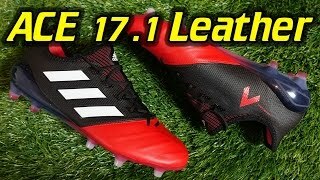 If your game is about dictating and controlling the play, then the ACE 17.1’s is the perfect boot for any condition, due to its Non-Stop Grip technology on the upper. This area of raised dots throughout the upper of the boot ensures the ball stay attached to your foot. This boot is perfect for the midfield playmakers or defensive player who want to improve their touch, due to the vacuum skin technology the kills the ball when controlling. The outsole of the 17.1 Primeknit has any weight to it and built for increases stability at maximum speed. adidas’s introduction of the SPRINTFRAME outsole give the player solid support when running at full pace. The boot tech continues all the way to the sole of the foot, with a TOTAL CONTROL stud configuration. The arranged stud pattern allows players to move with agility and traction at high speeds on any surface. If the low cut option is more your style that the 17.1 leather is for you. The premium K-leather improves comfort and fit and has a lot of give for wider foot players, whilst also improving ball control. These top tier boots also give the player enhance control and comfort through their one piece sock in the rear and middle of the foot. With the same TOTAL CONTROL stud configuration and SPRINTFRAME outsole as the PrimeKnit the technology and performance of the boots are very similar. The question is low cut or collar?